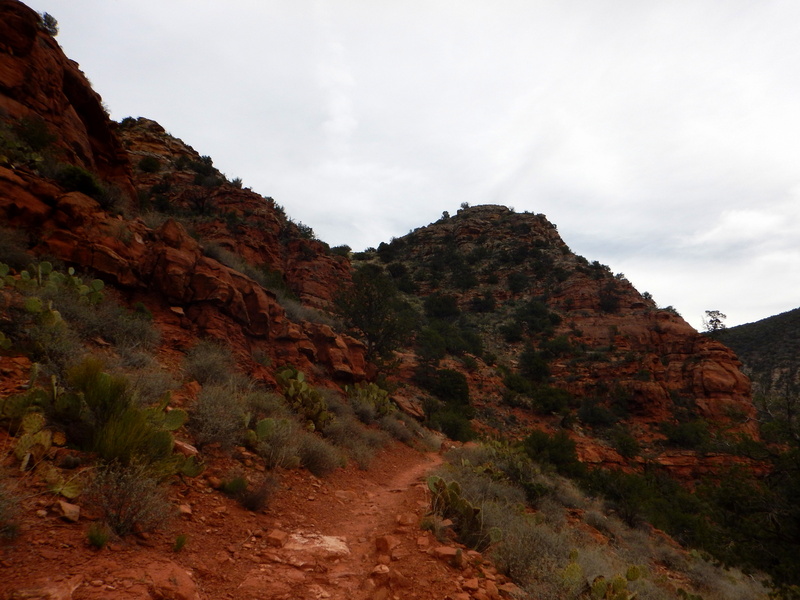 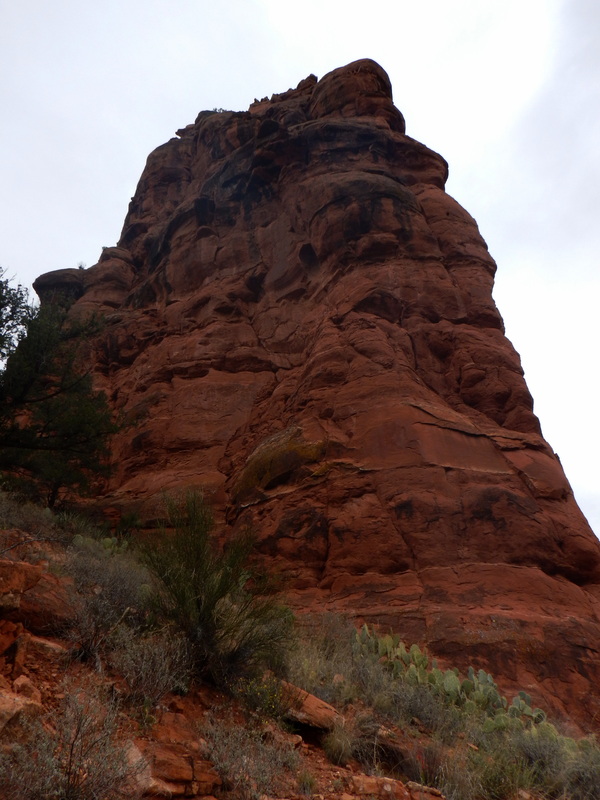 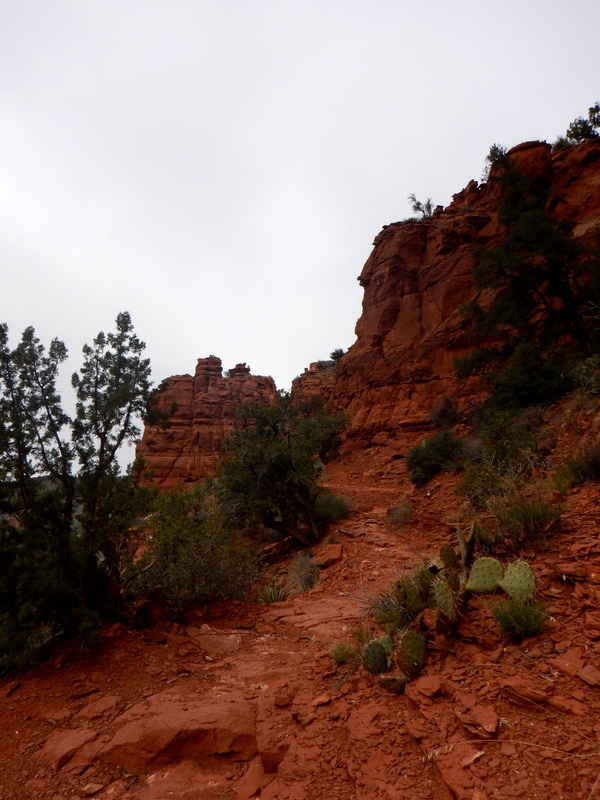 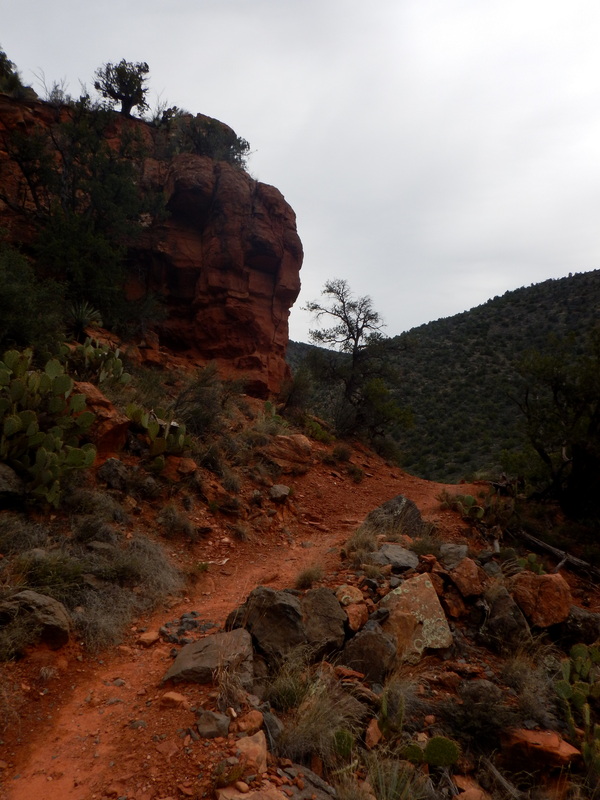 I camped for three nights in Coconino National Forest, located in central Arizona near Sedona, with the intent of hiking along the Bell Trail along Wet Beaver Creek – though discovered archaeological sites and the proximity to the red rock at Sedona distracted me, prolonging my stay. 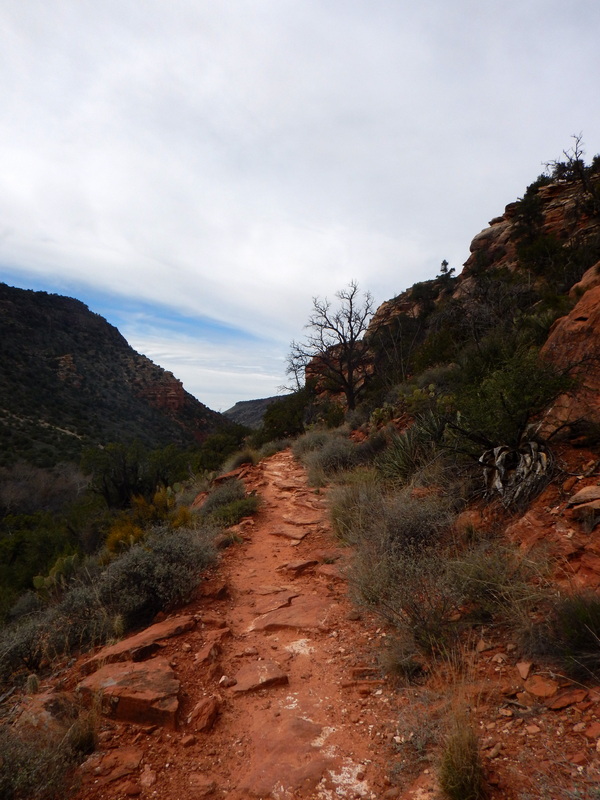 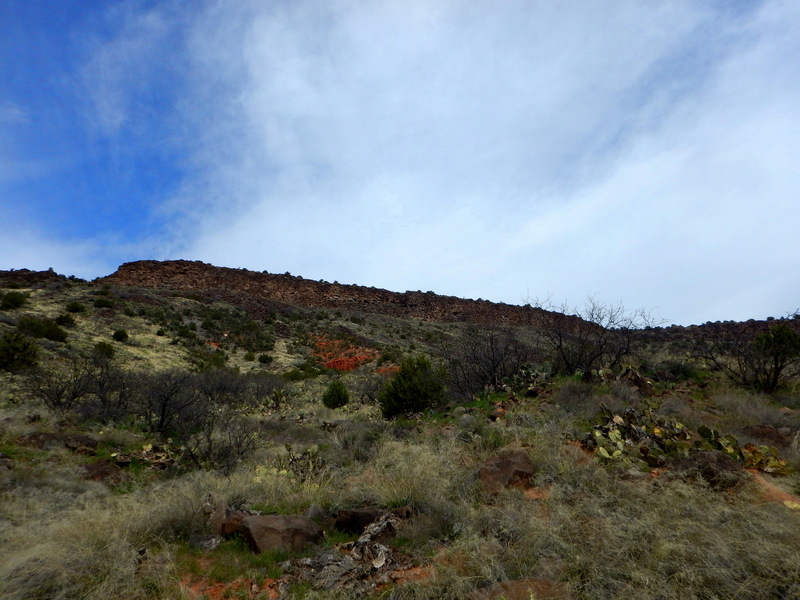 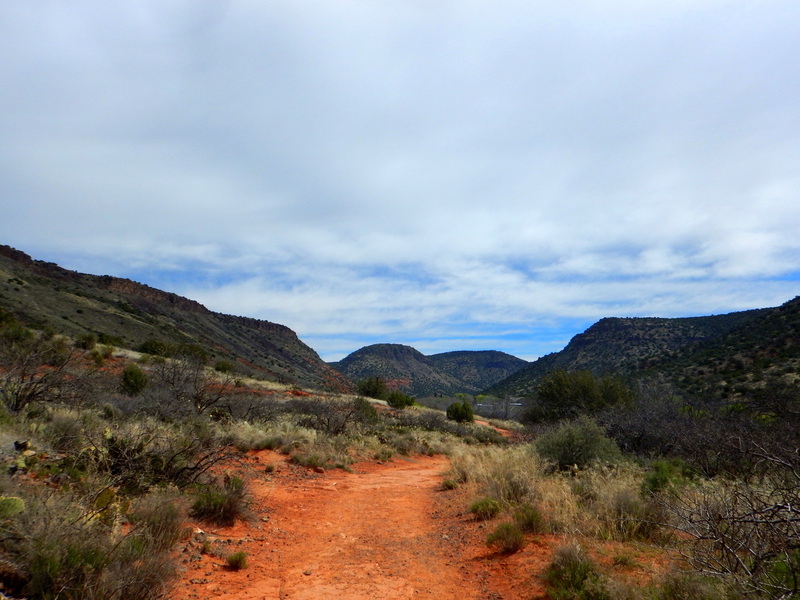 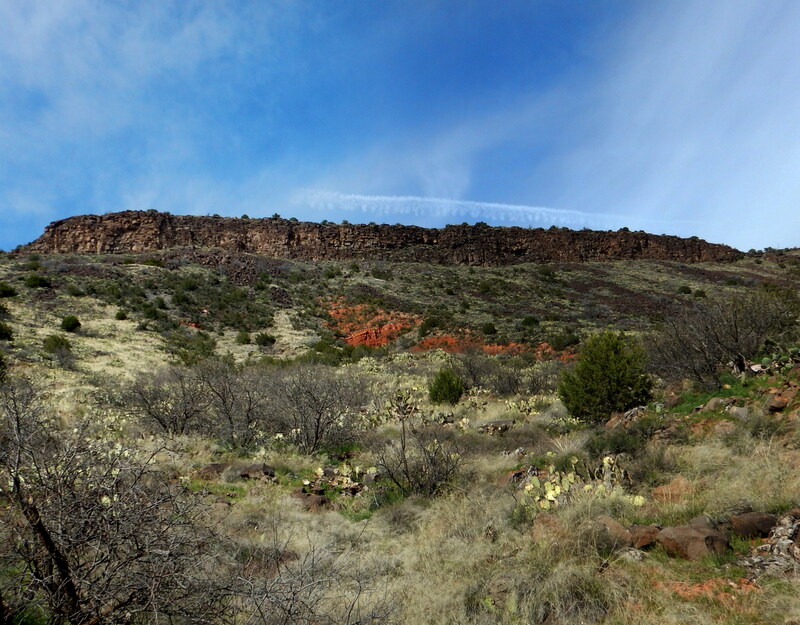 The Bell Trail is a 20+ mile out and back hike but I chose to do the first 3.5 miles (for a roundtrip of about 7 miles) that lead up to the creek and are widely regarded as the most scenic part; the remaining mileage crosses high plateau and varies little. 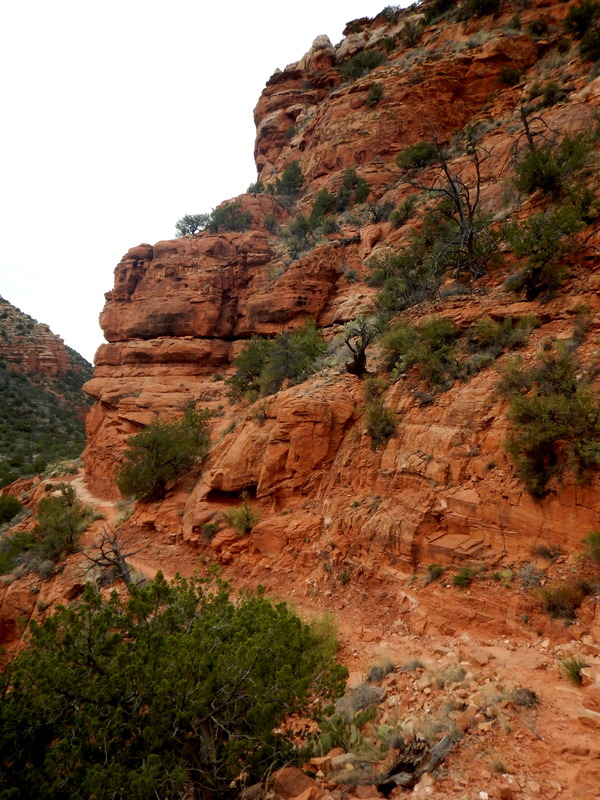 The first two miles of the trail is a hike just above the creek leading towards the canyon, but the remaining mile and half up until the descent to the river is a significant elevation gain as you climb the cliffs and walk along a path cut into the side of the canyon walls by Mr. Bell in the 1930s – who thought this might be a good place to run his cattle through. 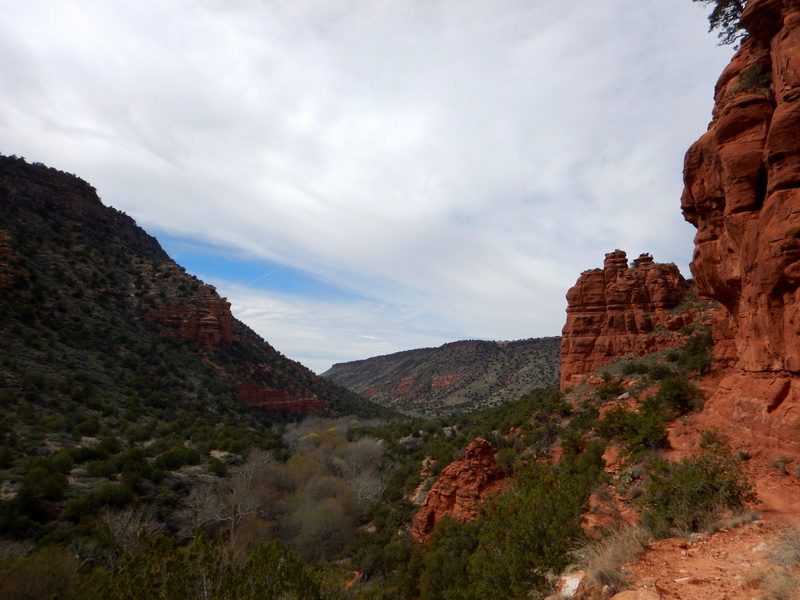 At this point the scenic quotient increases as you get up close and personal with the red sandstone cliffs while simultaneously getting spectacular views of the creek below. 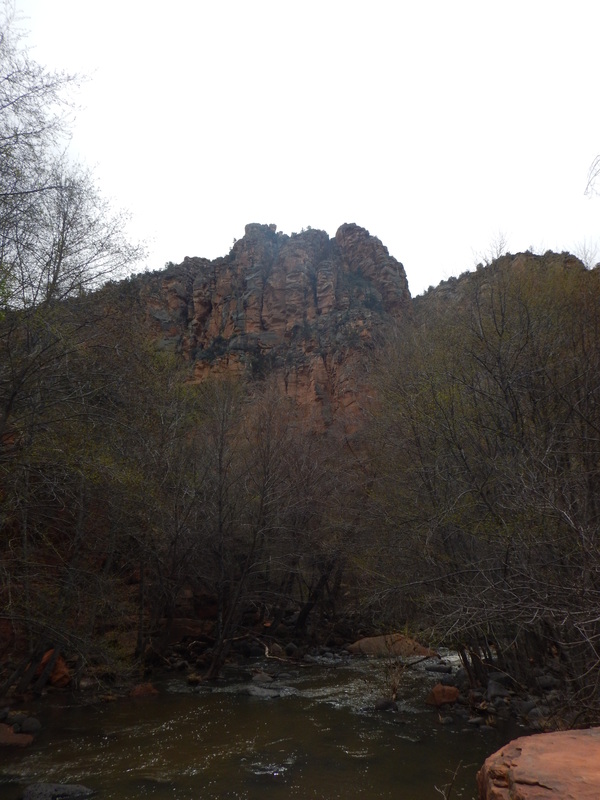 As I said, I walked the approximately three and a half miles to the creek but turned around at the crossing though not before exploring a bit of the shore. 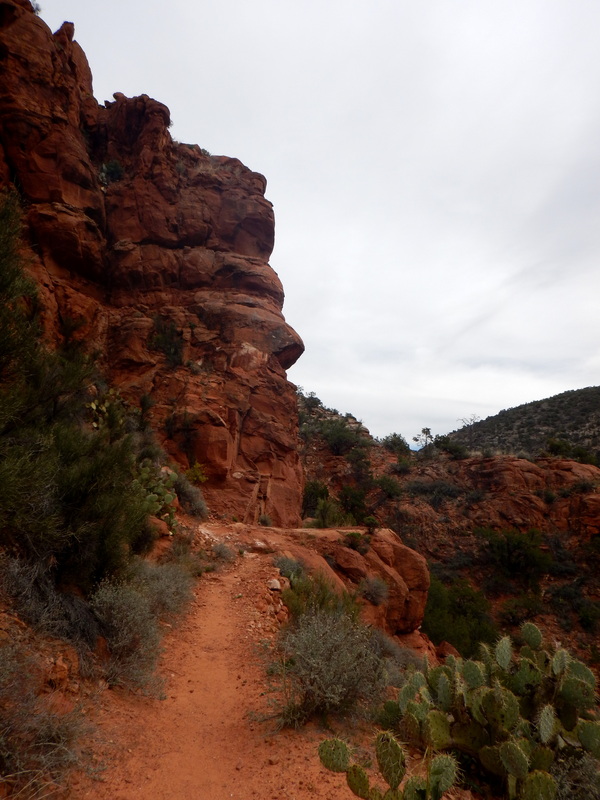 It was a beautiful and interesting trail, and one that I would definitely do again. 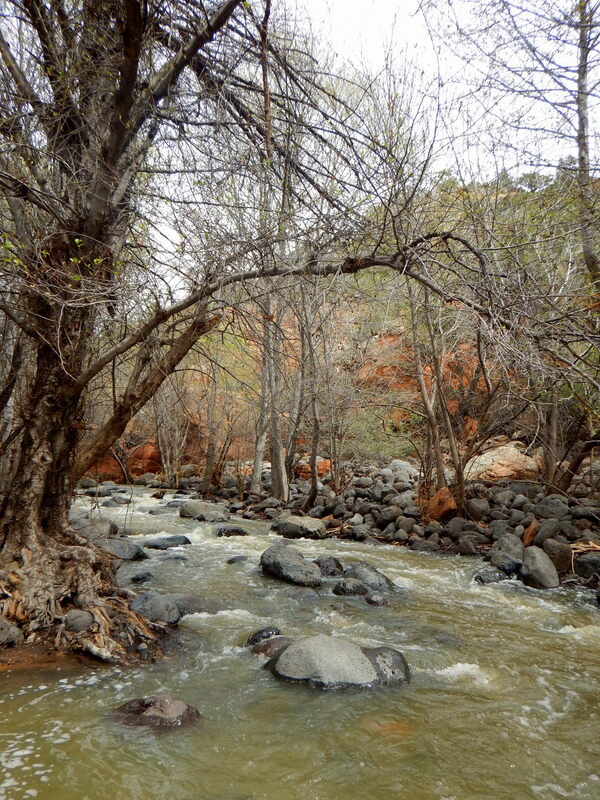 I always like diving head first into Wet Beaver……….Creek.